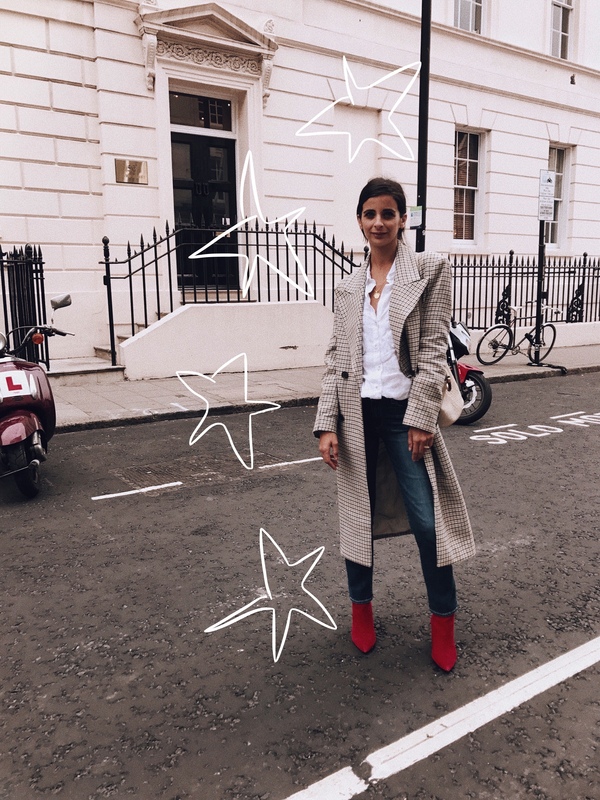 A great way to get a head start of this seasons must have trend is to invest in the number one colour this season, the red boots! I’ll be the first to admit that I thought this trend might be a little hard to pull off, but i’m totally digging this colour and the fact that it goes with everything (and I mean everything!) and I don’t think you will be able to avoid it. 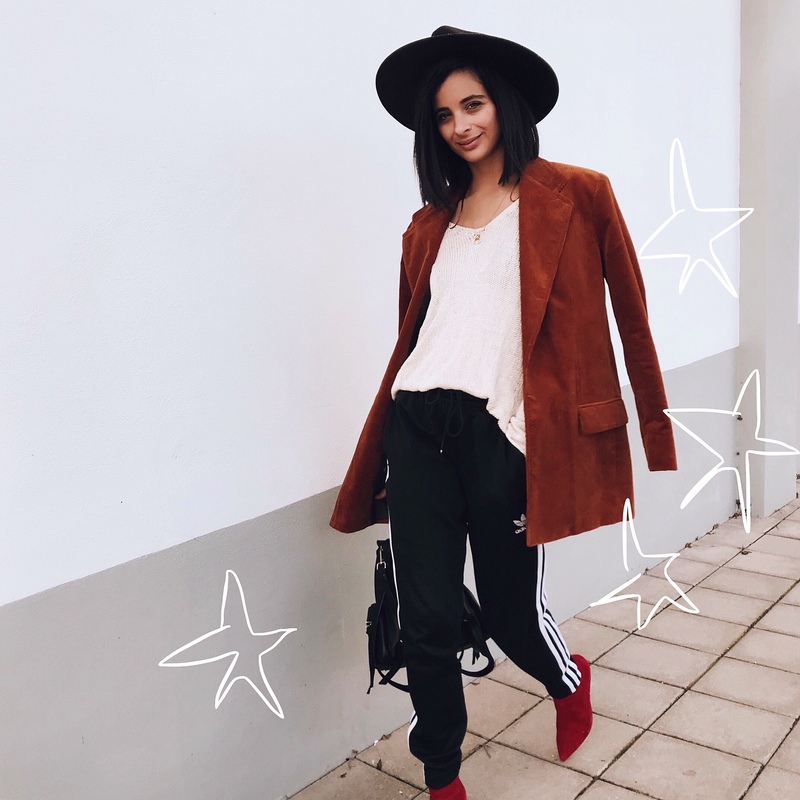 Pops of scarlet and burgundy are popping up in all your favourite high street stores making them the most versatile and popular boots you will own. So just how do you wear these? I’ve teamed up with Dune to show you how you can make this trend your new best friend. Now you guys know just how much I love and totally obsess over Dune’s shoes. 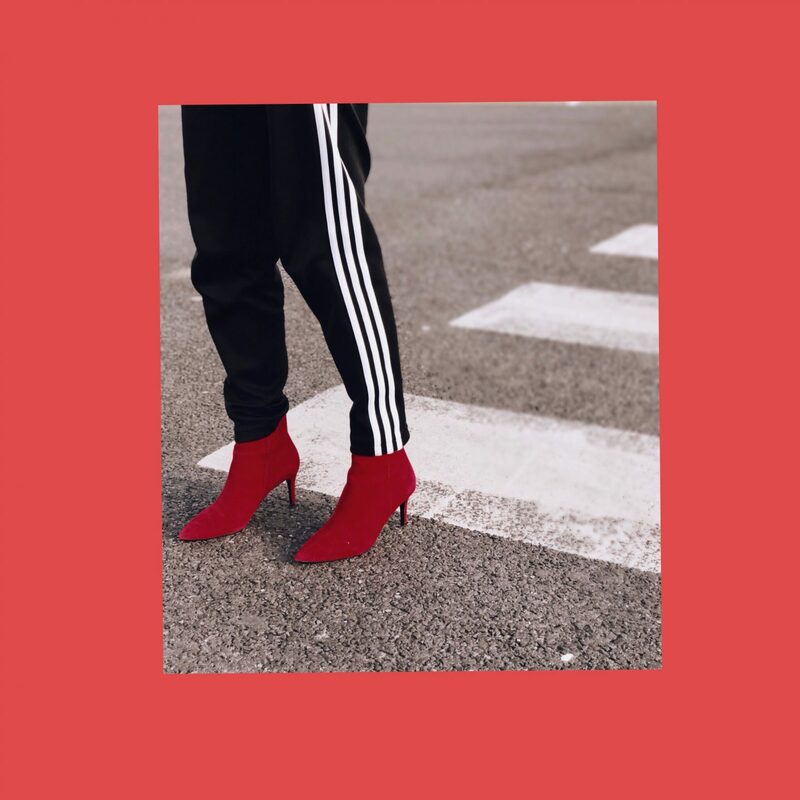 I’ve been wearing their shoes since I was a little girl and they are my go-to brand when it comes to shoes. I find that there isn’t anything Dune get wrong. They hit every fashion trend at totally affordable prices which mean’s there’s something to suit anyone and everyone. 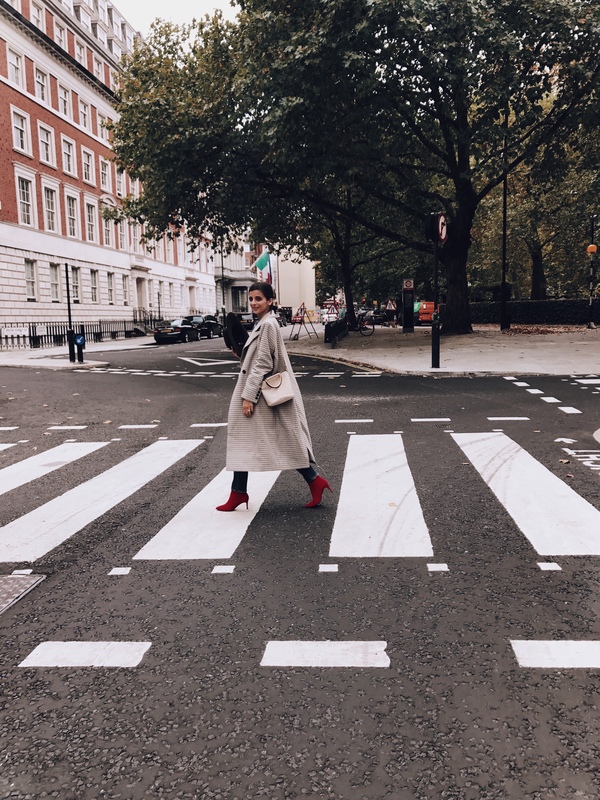 So here I’m wearing the Dune Osha red ankle boots (here) and they are my favourite pair I have seen so far, so I was beyond excited to get these and welcome them to my wardrobe (with open arms!) 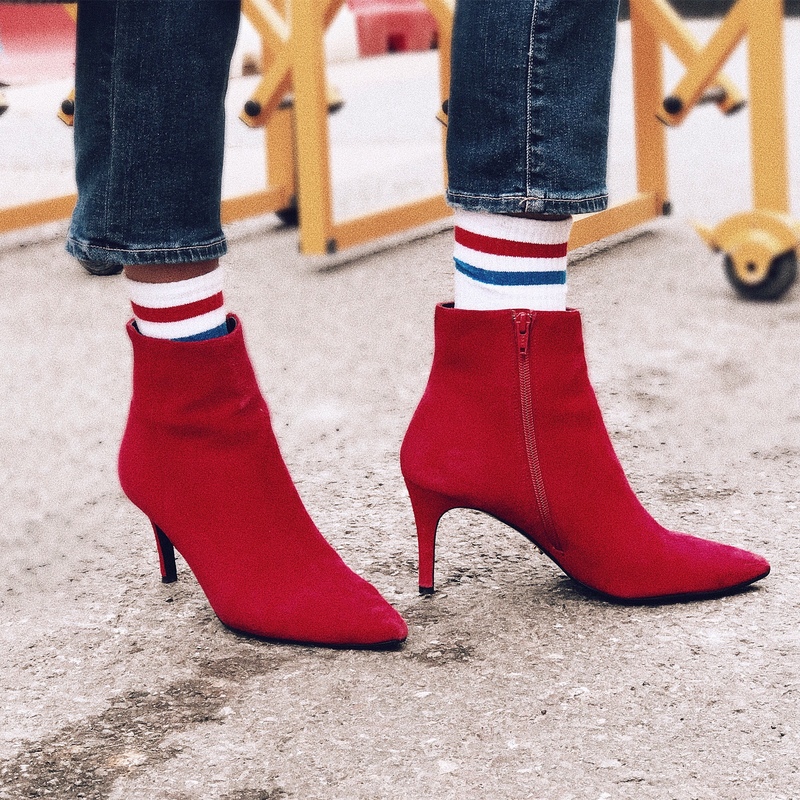 I’ll be showing you how these killer ankle boots can provide the instant update your wardrobe needs. You can wear them with jeans of all sorts of colour and style , make a fashion statement by teaming them your favourite sport joggers, a dress for a girls brunch and some corduroy jeans in brown which offsets the colour with perfection! 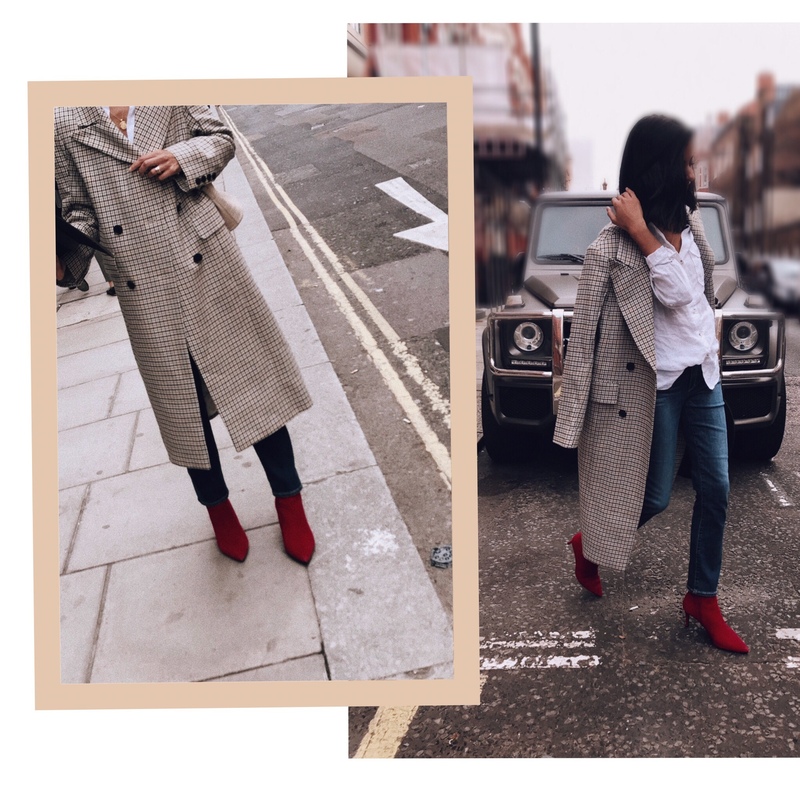 As well as being super comfortable, they are the right length to team them with anything, so I’ve kept all three outfits minimal to let the boots do the talking and show you just how versatile these boots are. 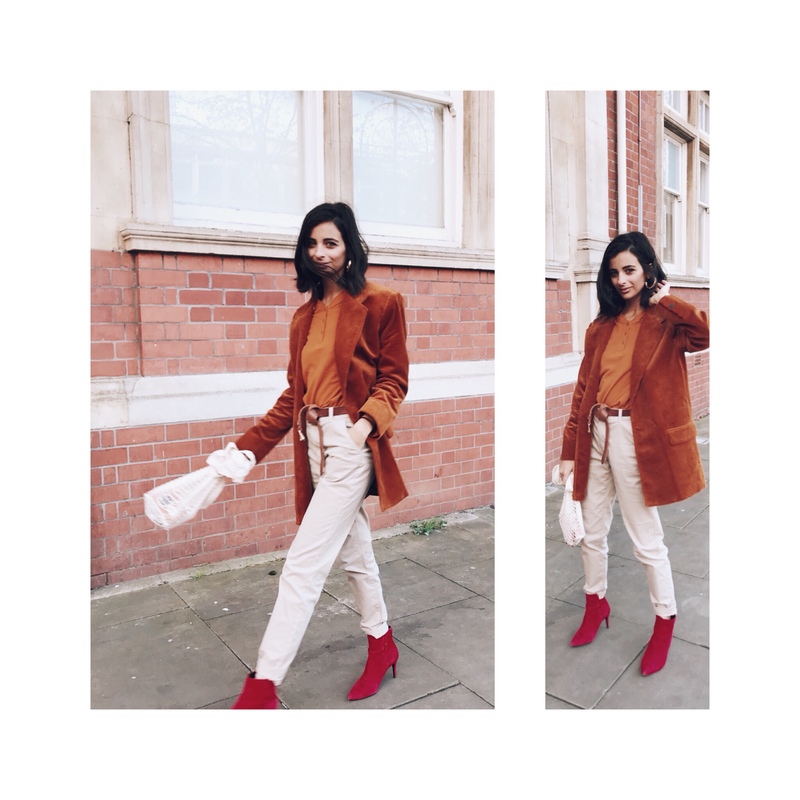 I’ve teamed my first look with your everyday jeans (here). Jeans are your everyday essential and the perfect look that you can totally dress up or down with the help with these boots. They are the perfect height with these jeans and I wore them for a whole weekend of girly fun with comfort and ease! I teamed them with Topshops Tube Socks to give the outfit a little edge. 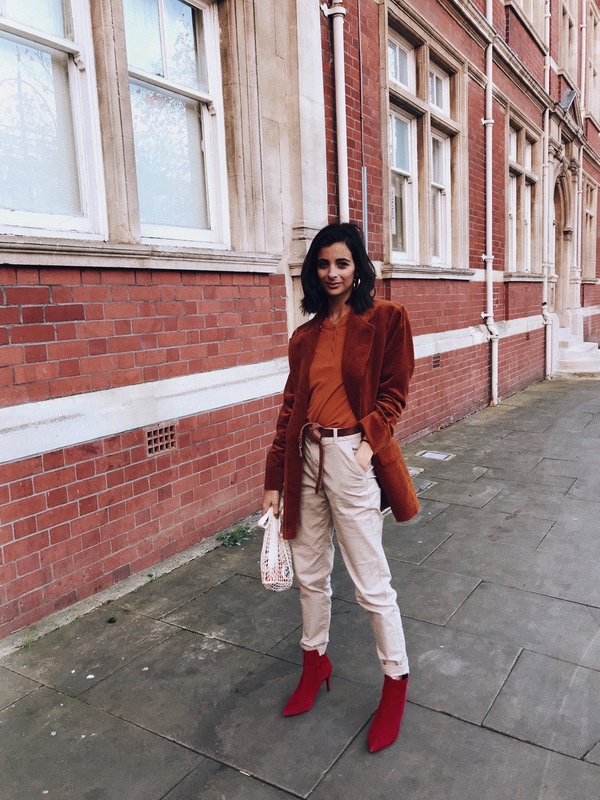 I’m totally digging corduroy at the moment especially in warm autumnal tones like this set from Mango Committed capsule. The boots offset the colour in this outfit to create the perfect autumn look hitting both trends in one look. 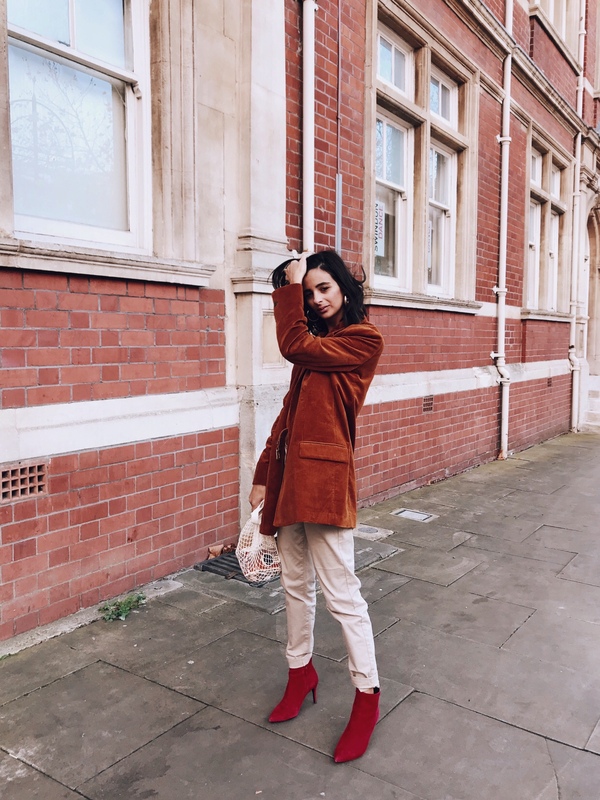 I’ve been seeing all my favourite bloggers styling their joggers for a chic understated kind of look, and I loved playing with this look so much. The boots worked so well in what would have been a super casual outfit, with a pop of red heels that takes this look to a different level which proves that these boots really do go with anything. Your styling is second to none. Wouldn’t have thought to team boots with joggers! Absolutely in love with it. Look 3 is my favourite and look 1. They just look effortless. Really want these for Christmas, who knows Santa may just bring me a pair !